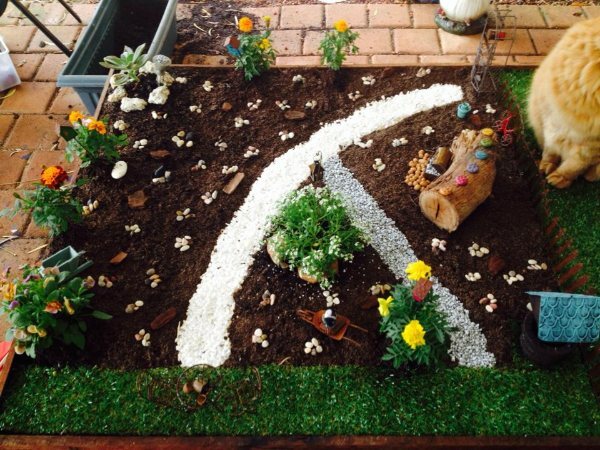 The winner of our Facebook Most Likes competition is Merrell from WA with this fantastic garden. Congratulations Merrell. 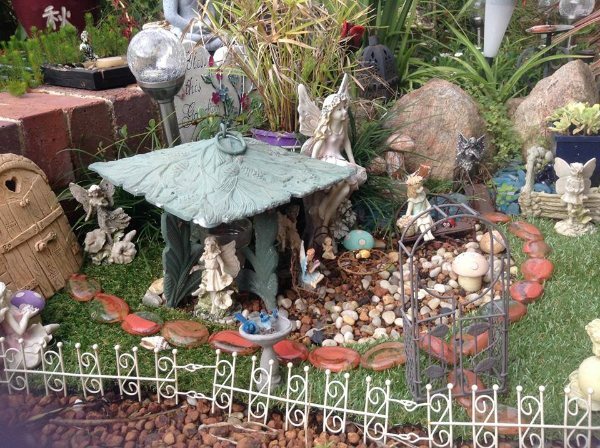 There is so much going on in this fairy garden, it's great to see. I think my favourite part is the river in the back coming out from between the rocks, with the bridge and path that leads through the garden to the fairy door. 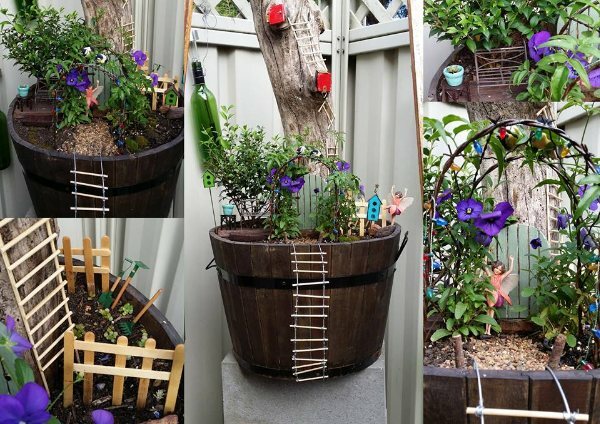 The winner of My Little Fairy Garden's Favourite Garden is Nitya from NSW who created this fairy tree house. We love seeing the DIY accessories included in the garden, like the cute fence hiding the vegetable patch and the personalised fairy door. What a magical area for the fairies. All the entries were great, we had such a hard time choosing our winners - so we decided to give runner up prizes to two other gardens. They will receive a My Little Fairy Garden 10% off voucher. Karli's garden received the second highest votes in our Facebook Most Likes competition, and we can understand why. It's a simple but enchanting little garden fit for a fairy princess. Beautiful! This garden was created by Karens daughter, Laila. The fairies have a lovely place to sit overlooking the garden with the bistro seating and tea pot set up on the grassed edge. There is so much for the fairies to see and do. Thank you to everyone who sent in photos. You can see all the entries for our 2014 Fairy Garden Competition on our facebook page here.